Wood Floor Finishing: Your floor can be restored to its original beauty through wood floor refinishing. Sanding can remove most scratches and gouges from your high traffic. Not only is it possible to bring an old floor back to life, you can create a whole new look by staining it or changing the sheen of the finish. FLOORING BONANZA makes finishing hardwood floors a pleasant experience. State of the art techniques keep dust confined in vacuum bags on our equipment. We do everything in our power to keep your house dust free and do a thorough job of clean up. Past FLOORING BONANZA customers have been amazed at the results achieved when prior floor coverings, for example carpet or linoleum, have been removed and existing hardwood floors have been repaired and refinished. Wood floors covered by these other products are a gem waiting to be discovered, quickly adding value to your home. Please see the before and after pictures and read the testimonials on our website. level finish. In the event you have any prior damage from water, pet stains or termites, these boards can be replaced. Following the sanding procedure, FLOORING BONANZA applies three coats of urethane floor finish. of having their hardwood floors sanded or screened without the enormous amount of airborne dust! -Floor Laying Refinishing & Resurfacing NJ. 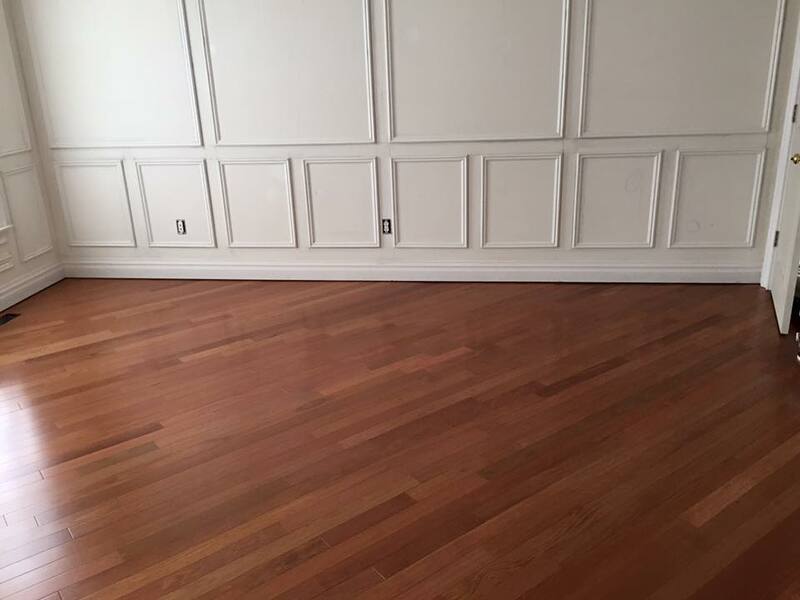 What is the best finish for a hardwood floor? 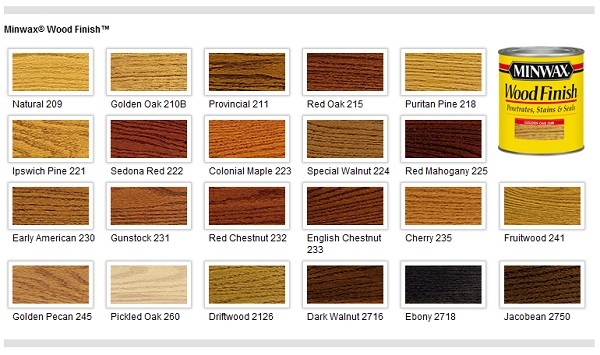 Choosing the right finish for your hardwood floor will enhance its beauty for many years. A finish protects your floor from everyday wear, dirt, and moisture, and provides color and luster that give your floor its own personality. OIL-BASED FINISH is the most commonly used floor finish. Available in gloss, semi-gloss, and satin sheens, oil-based urethane is generally applied in two or three coats, with drying time of up to 8 hours for each coat. Oak, Pine, Mahogony, Cherry, Maple, Bamboo and all others. Strips or Planks and Parke Floors, stair and steps. All work is provided with quality workmanship. Refinishing – Wood floors that have become unsightly from years of wear or neglect can be restored to their original beauty. Machine sanding removes the old finish and exposes new wood. With the application of a finishing material, floors are like new again. We highly recommend you call us to have your wood floors professionally refinished. There are many products on the market today for finishing hardwood floors. We offer 3 types of finishes, all being no-wax finishes, which means low maintenance. Our #1 finish is our Oil base Polyurethane. It is one of the most commonly? used finishes on the market today and is very durable. This finish is available in satin semi-gloss, and high-gloss. The most popular being semi-gloss. The #2 finish we offer is a Water Borne finish. It is fairly new to the market, but has proven to be very durable.If there is another finish you prefer over these 2 we will gladly use that product instead. Drying Time – Just prior to applying the finish, the heat needs to be set at 71 degrees in order for the finish to dry. This takes about 6 to 24 hours.? DO NOT walk on the floors prior to being dry because imprints will occur. Appliances – Be careful when moving appliances. You should use a dolly or lay down plywood and move in the appliances over it. This is so the casters on the appliances won t leave indentations in the finish. Furniture – Put fabric-faced glides on the legs of your furniture. They allow furniture to be moved easily without scuffing the floor. Clean the glides regularly because grit can become embedded in them. Some furniture may require barrel type roller casters, as ball type casters may cause damage. Grey, non-marking rubber casters are the best. Avoid any type of plastic caster. Color Changes – Certain chemicals in wood oxidize in strong light, causing the wood to change color (weather or age) i.e. ; develop patina. To avoid uneven appearance, move area rugs occasionally and drape or shade large west-facing windows. High Heels – Keep high heels in good repair. Heels that have worn down or lost their protective cap, exposing the steel support rod in the heel, will dent any floor surface, even concrete. Animals – It is recommended that you clip your pets nails monthly or walk them on concrete to dull their nails. Caring For Your Floors Vacuum – Vacuum regularly, as often as you vacuum carpets. A brush attachment works beautifully. Sweep or use a dust mop daily or as needed, but DO NOT use a household dust treatment as this may cause your floor to become slick or it may dull the finish. Cleaning – For general cleaning, add 1 cup of white vinegar to 1 gallon of luke warm water. Dip a clean cloth or a sponge mop and wring nearly dry. Clean floor and wipe dry with a towel as you go. This procedure is recommended once a month. Weekly you can use BONA? Hardwood Floor Cleaner, designed for hardwood floors. Call us for more information on this product. Waxing – NEVER WAX a surface finish. Wax will, in most cases, be slippery. Once waxed, the floor will not be able to be recoated to rejuvenate it. It will have to be completely sanded down to raw wood to restore the floor. All the wood in your home will contract or expand depending on the moisture in the air. Doors and windows may swell and stick during rainy seasons. In dry, cold weather, cracks and fine lines of separation may appear in wall cabinets and furniture. This is characteristic of wood because wood is a product of nature, and its natural quality is what makes it desirable. Cracks – Reaction to humidity, or the lack of it, is happening constantly in your wood floors. Tiny cracks between the edges of boards may appear when dry conditions are produced by your heating system. This can usually be REDUCED by installing a humidifier. With a proper balance of moisture in the house, both family and floors benefit from a healthier environment. Squeaks – When interiors become damp, the boards in your floor may expand and rub together producing a squeak.? Recoating – When luster does not return in traffic areas such as doorways, kitchen sink, stove area, or hallways, the floor may need recoating. When this happens it is time to call FLOORING BONANZA 973-769-2695 for recoating! Sanding Dust– Mechanics/Refinishers are not allowed to dispose of sanding dust . Floor Laying Refinishing & Resurfacing NJ. Flooring Store NJ. Flooring NJ. Randolph NJ. Boonton NJ Flooring Contractor. Hardwood Flooring Company NJ.